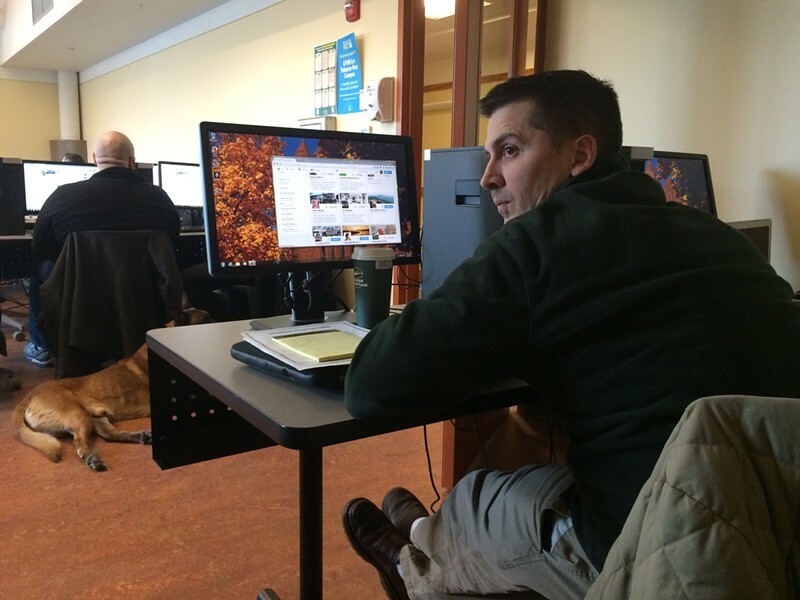 Colchester Police Department dispatchers Candace Johnson and Jonathan Wheeler were among the star students of a group of three dozen local cops who gathered for an unusual seminar at a University of Vermont computer lab. Billed as Government Use of Social Media Training, the class was essentially Twitter 101 for cops. Two social media experts from the New York City Police Department taught it. Officers from more than a half dozen local departments walked through the basics of character limits, following other accounts and hashtagging. They learned lessons not necessarily doled out to civilians: The cops were urged to note in their department’s Twitter bio that their accounts are “not monitored 24/7,” lest citizens in need mistake Twitter as a replacement for 911. Cops taking to social media is not a new phenomenon. 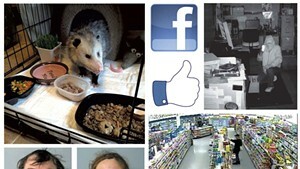 Many departments swear by their Facebook pages, though they are not always without controversy. Officers say Facebook provides them a quick way of disseminating information that wouldn’t garner media coverage — a minor road closure, or surveillance footage of a shoplifter — and helps to improve relations with the locals. Hinesburg Officer Anthony Cambridge became his department’s de facto social media coordinator in April when he volunteered to run its Facebook page. Cambridge said he has been surprised at how useful it has proven: Officers recently reunited a lost dog with its owner after posting its picture. Cambridge was a bit skeptical that Twitter would prove as useful. But if nothing else, he was a quick learner. Four hours after launching the official Hinesburg Police Department Twitter account, he had attracted 24 followers and demonstrated proficiency in the high art of retweeting. Others in the class seemed a bit more stumped. “This could go horribly wrong,” one muttered. “I’ve been hacked!” one cried out minutes after trying Twitter for the first time. “Can people see it if you view their page but don’t follow them?” one asked. “You get the difference between a hashtag and a handle, right?” one of the instructors worriedly asked halfway through. Not every cop in the crowd was convincing in their answers. But by the end of the session, most seemed to have caught on. Burlington Police Chief Brandon del Pozo organized the event. The chief, who came to Burlington last year after a career in the New York City Police Department, had hired the two NYPD social media trainers who led the class when he worked in the NYPD’s Office of Strategic Initiatives. Del Pozo said said he wants his officers to be more skilled at engaging with the public online. Del Pozo, a social media zealot, mans the Burlington Police Department’s official Twitter account, One North Avenue, along with a personal account. With Thursday’s training, del Pozo said, other Burlington police officers will be able to take over management of the department’s account. It will come as welcome news to at least one civilian. “Being the only person responsible for it has been straining my marriage,” he joked. “I promised my wife I’d find some help."